I know I am a beauty blogger and my blog will always be 98% beauty but sometimes it's nice to post something non (totally) beauty related and as I started using a new handbag last week I thought I would do an updated 'What's in my handbag' post. I have done two of these posts before-What's in my bag featuring my Longchamp Roseau bag and What's in my handbag-the travel edit featuring my Prada Saffiano tote. This post is my everyday/ what I take to work/holds everything handbag. 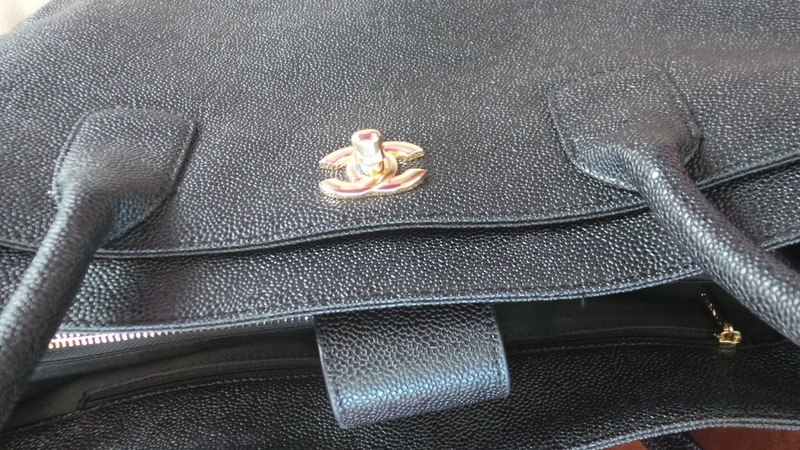 My new bag is the Chanel Cerf tote in black caviar leather and I have had it for around 18 months although this is the first time I have used it. I love roomy tote bags that go over the crook of your arm-that is definitely my signature 'style'. I also carry a lot in my handbag as you will see!!! I went for the Cerf tote because it was the perfect size for work, had short handles and hard wearing leather. It also has lots of compartments to keep my bag tidy. It is a structured tote and stands on it's own but I have heard that over time the bag does 'slouch' somewhat. It has a removable pouch in the middle (which I have removed so that I just have one large centre) and has a pocket on each side of the bag plus an internal zip pocket on each side. The front pocket is accessed by opening the intertwining CC clasp but I don't keep anything in that section. The back pocket is where I tend to keep my phones, access pass for work and key holder so they're all really easily accessible. 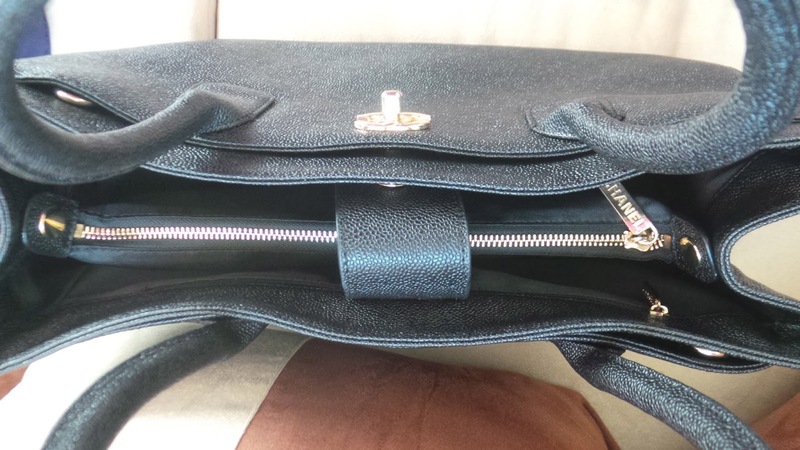 Both of the outer pockets both also have gold 'popper' fastenings on each corner. I love this bag. It goes with everything and is just right in terms of size. If you have read either of my other 'what's in my handbag posts' you will have seen my battered old Louis Vuitton make up bag. I've had this bag for at least 12 years and it was the first ever 'designer' item I bought. I carry it everyday and just love it. The actual material is spotless-it's just the opening that is a bit battered but I prefer to call it 'well loved'. 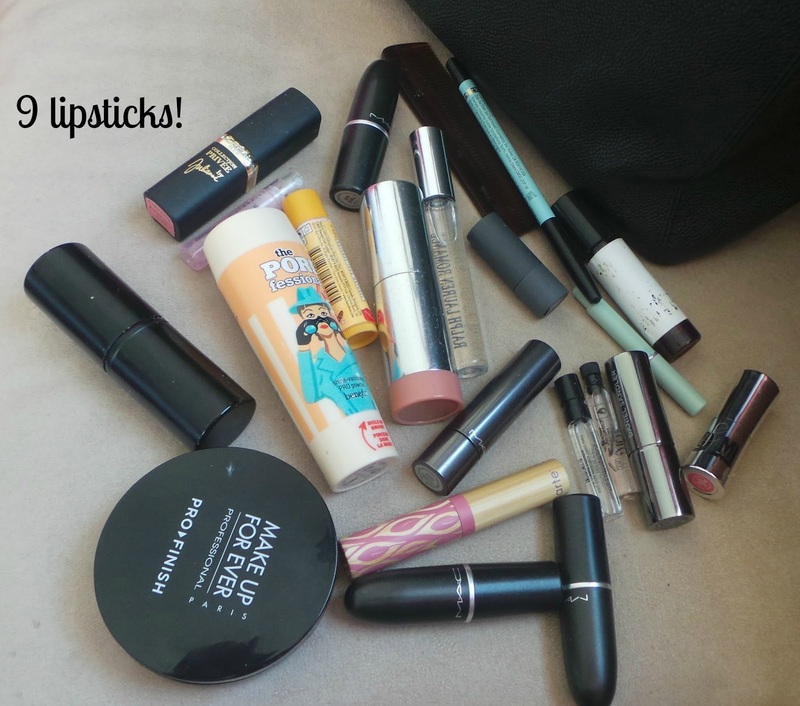 I tipped out the contents and found 9 lipsticks-and then a 10th floating around the the bottom of my handbag! There were also 4 perfume testers in there! I love being organised-in my bag I carry a notebook which literally is the 'book of everything' and has all the details in it I need to survive!! I got it from a little stationers in Dubai but the brand name is 'daycraft'. Its really soft leather and has ruled pages inside. The book at the front is my handbag address book and is from Paperchase. My diary/planner is from Erin Condren and as you can see is personalised with my favourite things. I love this and it's helping me stay organised in what is shaping up to be another very busy year. It's really sturdy as well which is great when you're lugging it around every day. The next thing I have been carrying around is my new Microsoft Surface Pro 2 which I picked up in the UK. It's an amazing size-its about the same size as my ipad and has a magnetic detachable keyboard so you can use it as a standalone tablet or as a laptop. I am such a 'tech-y' girl, I love my gadgets, just like my dad! I have an ipad mini and an ipad and I blog mainly on my Macbook Pro but because I travel quite a lot for work I wanted a smaller 'laptop' to take with me for doing actual work and after hours of research this fit the bill. I have been a MAC/Apple girl for years so using Microsoft is taking some getting used to. But I do like it-it has a great touch screen and is very compact. 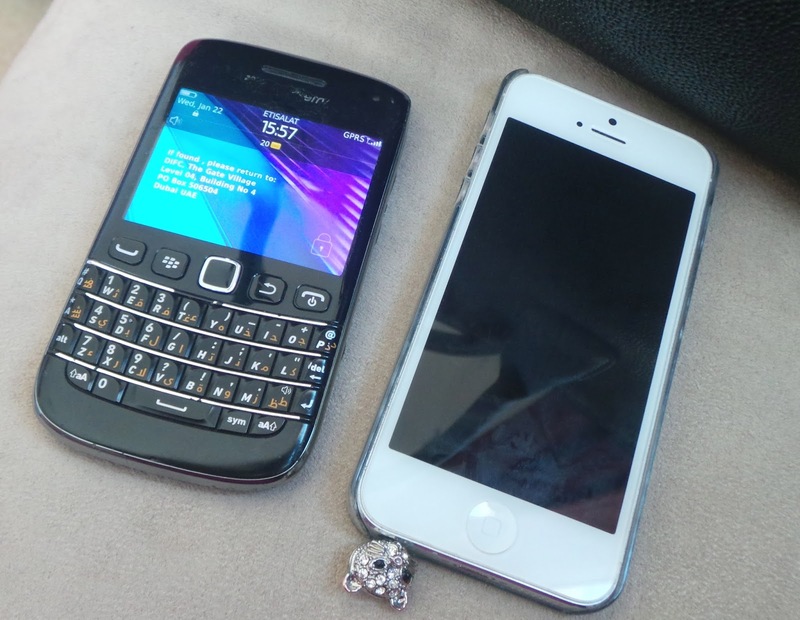 My work blackberry and iPhone 5 are always with me wherever I go. If you have read my other 'what's in my handbag' posts you'll have seen these two items before-my pink Prada purse and Prada key holder. Both very generous gifts from my best friend Danielle. Both are made of saffiano leather which I love as they're so hardwearing. I adore the colour too! Living in a sunny climate means I always have sunglasses to hand! These are my Tiffany sunglasses and have a slight cat eye shape. They are black with Tiffany blue trim. They also come in a hard Tiffany blue case which is great for protecting them. My Cath Kidson pouch was a gift from my mum for Xmas and holds all my random bits together. Currently in there are some painkillers, my asthma inhaler, some Sephora cotton buds, my HSBC secure keys and 2 powder puffs! How cute is the pouch!! Also in my bag is my Kindle-another gift from my parents for Xmas. I had the 'old' kindle but the new one is so much better. I am currently reading Paramedic to the Prince-an interesting insight into the medical world in Saudi Arabia from an American expats point of view. It's quite eye opening. The final 'always in my handbag' items are my car keys, my work pass and my lovely Swarovski pen. I have two of these white, sparkly pens...one was a gift from my friend Anna and the other a gift from my friend Hannah. 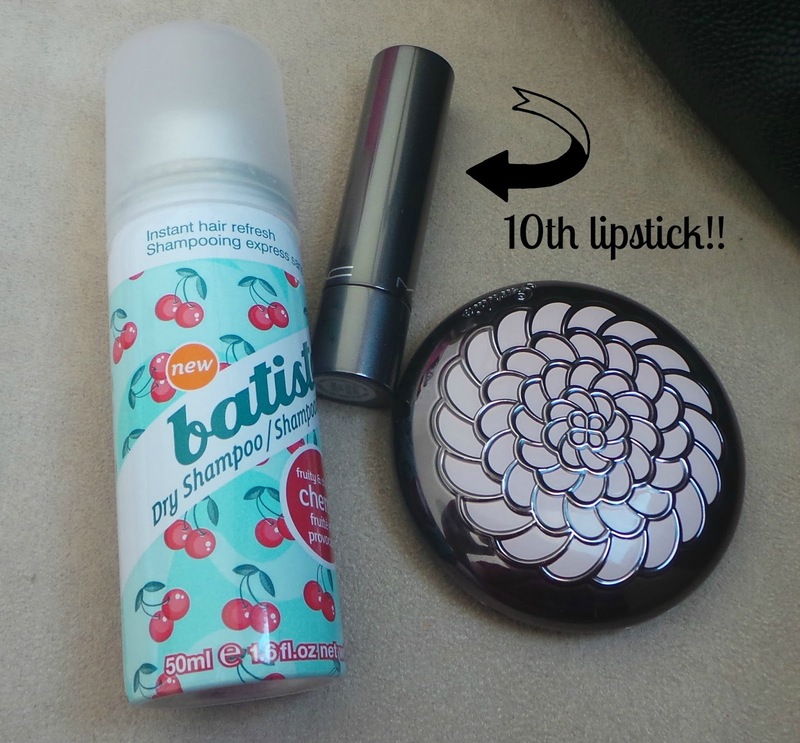 Here are some random items that were also in my bag this weekend when I tipped it out! My blogging notebook that was a gift from my friend Bev, another mini can of Batiste-cherry is obviously my favourite flavour! Also a packet of white blu tack which I bought from the supermarket after seeing Anna from Vivianna Does Makeup and Lily Pebbles 'Guide to blogging' video. 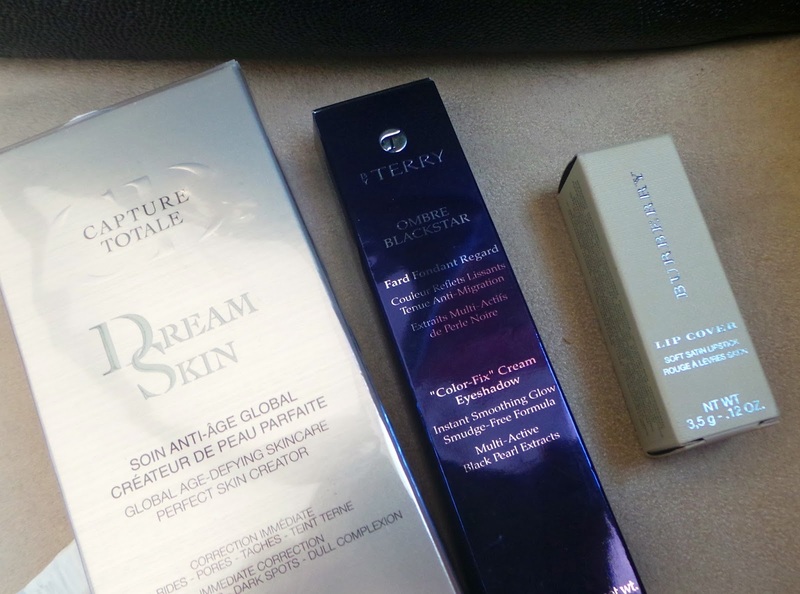 Also in there were three online orders that arrived in my office last week from the US-Christian Dior DreamSkin, By Terry Ombre Blackstar in Bronze Moon and Burberry lip cover in Hibiscus. 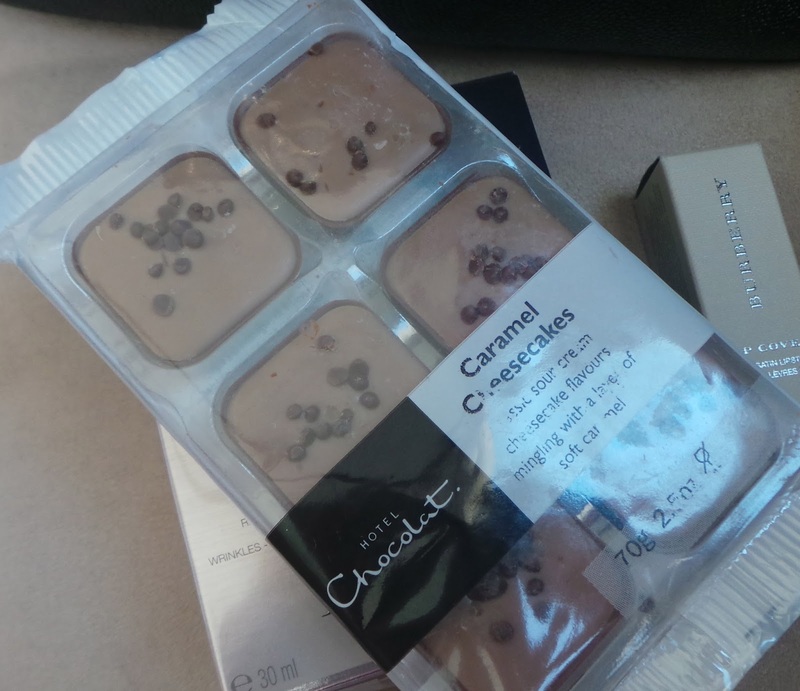 And finally in my bag was a packet of Hotel Chocolat 'Caramel Cheesecake' chocolates. These are utterly divine and I brought them back from the UK at Xmas. I am surprised they have lasted this long!! 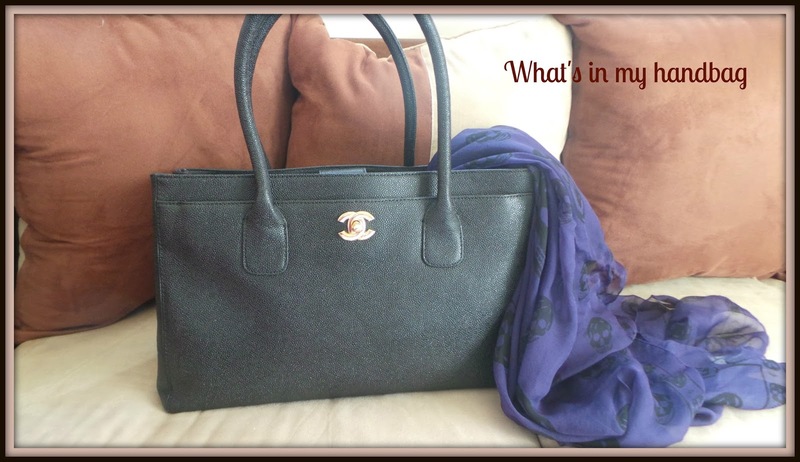 Let me know if you have done a 'What's in your handbag' post-I do love having a good nosy in peoples handbags! !